I made some little cardboard houses from a pattern I found online here. 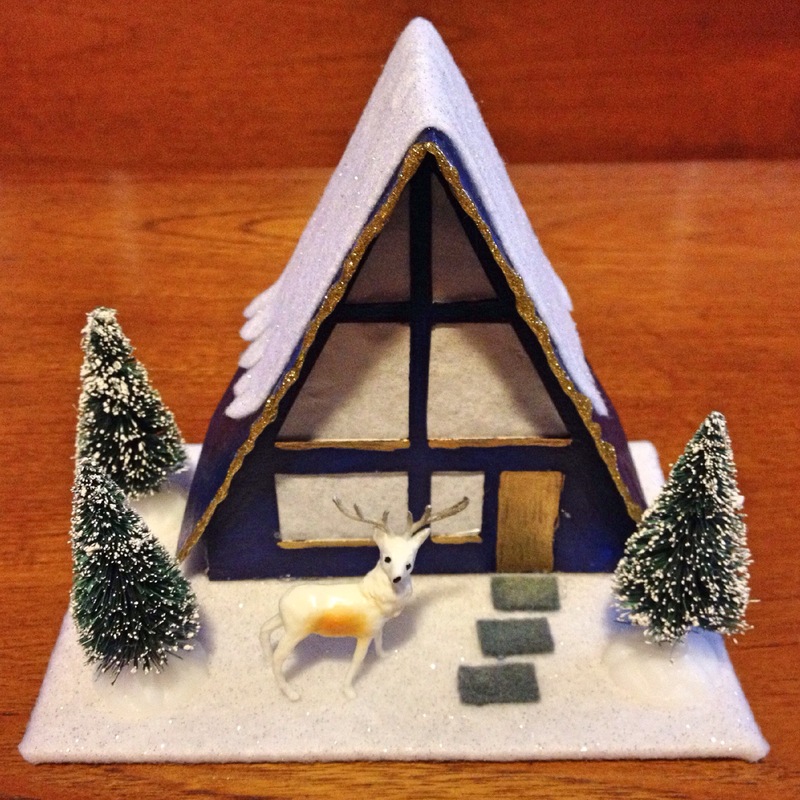 Cake decorations are the perfect size to go with the houses so I added some trees and a deer. 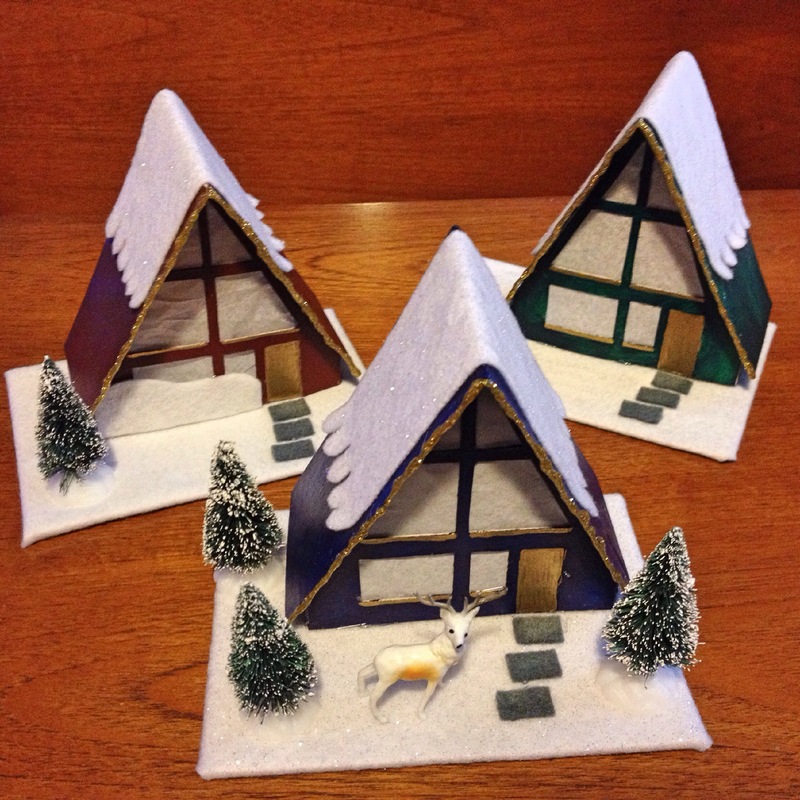 My favourite thing from making these houses was using my glittery glue sticks in the glue gun. They work really well and you don’t end up with glitter everywhere.